These are the instructions to Flash Stock Rom on Android Devices using Broadcom Download Firmware utility (DFU). Step 1: Download and install the Broadcom USB Driver for your device on your Windows Computer. 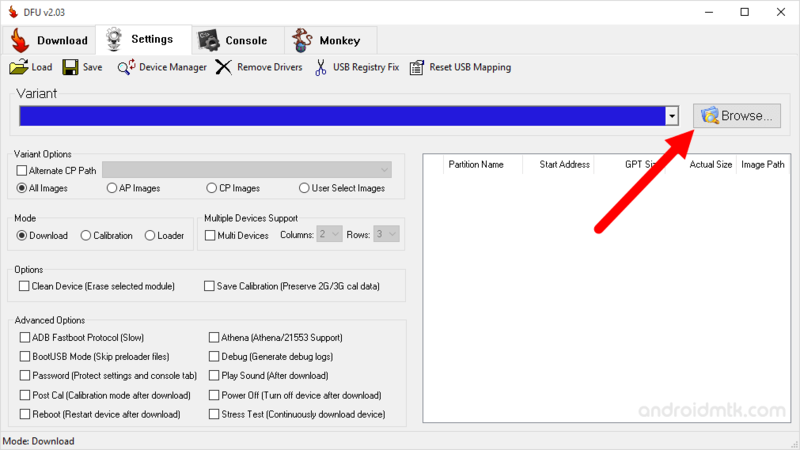 In case you have already installed the USB drivers for your Device then SKIP this step. Step 5: Now, open dfu.exe (you have extracted this file in Step#2) on Your Computer. Step 6: Once Broadcom Download Firmware utility (DFU) is launched, Click on the Browse Button from the Top Right and locate the firmware folder. 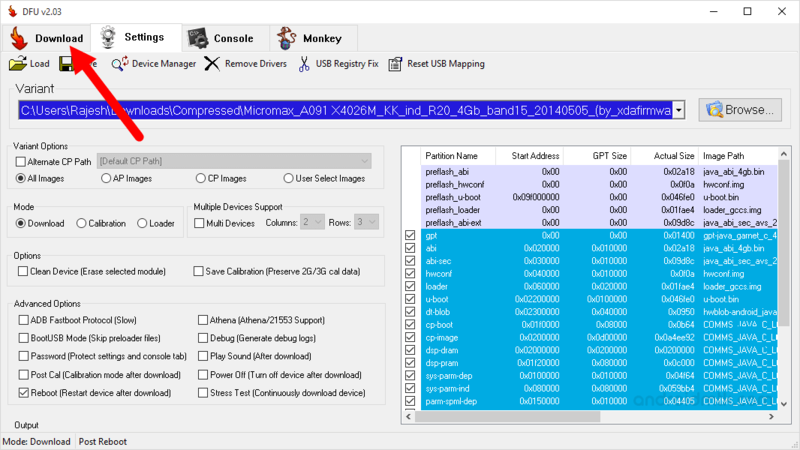 Step 7: Once you have successfully located the DFU compatible firmware folder then it will be automatically seen in the Broadcom Download Firmware utility (DFU) tool. Step 8: Once Firmware is added successfully in DFU tool, then Tap on the Download Menu. Step 9: Now, Click on Start button to begin the flashing. Step 10: Now, connect your Broadcom Chipset based Android Smartphone to the computer (make sure it is in Power Off). Step 11: After Connecting your device to the computer, Press Volume UP or Down Button on your Device so that Broadcom Download Firmware utility (DFU) can detect it. Step 12: Once Broadcom Download Firmware utility (DFU) will detect your device, the Flashing process will begin automatically. Step 13: Once Flashing is completed, a Finish message will appear. Step 14: Now, close Broadcom Download Firmware utility application and disconnect your Android Device from the computer. 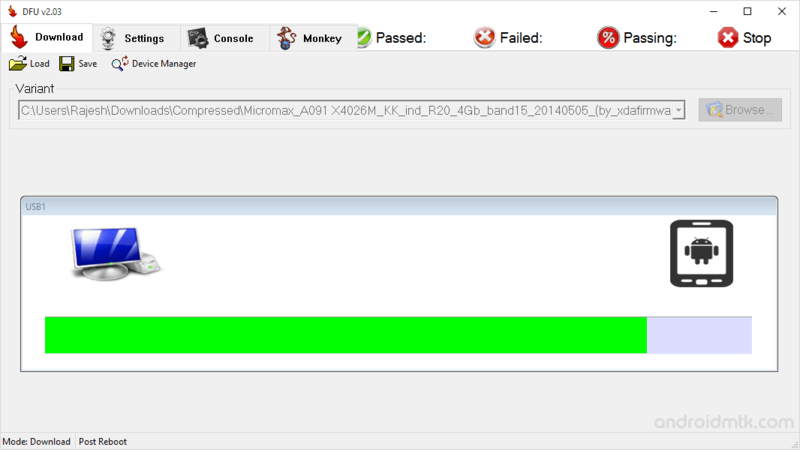 [*] The above tutorial only works with the firmware that comes support the Broadcom Download Firmware utility. [*] Take Backup: Take a Phone backup before using the Phoenix USB Pro as because during the flashing process your personal data will be removed.